Former Weezer bassist Mikey Welsh, 40, died this weekend of a suspected drug overdose at his hotel in Chicago. 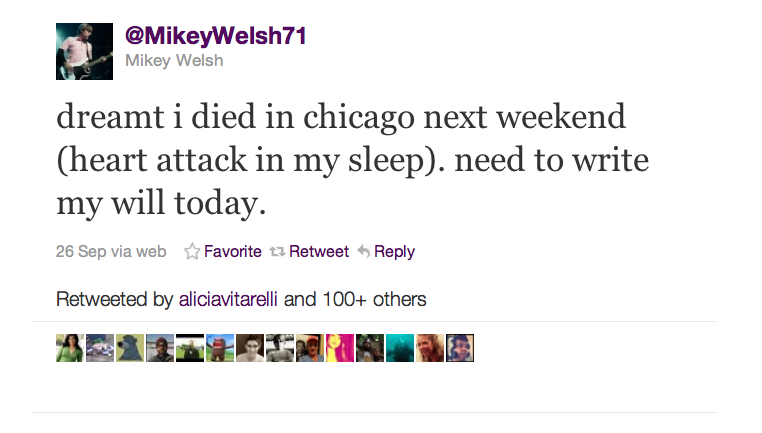 The musician-turned-artist eerily predicted his death two weeks ago on Twitter. On September 26, Welsh took to Twitter and wrote that he had dreamt his own death. Was his message a call for help? 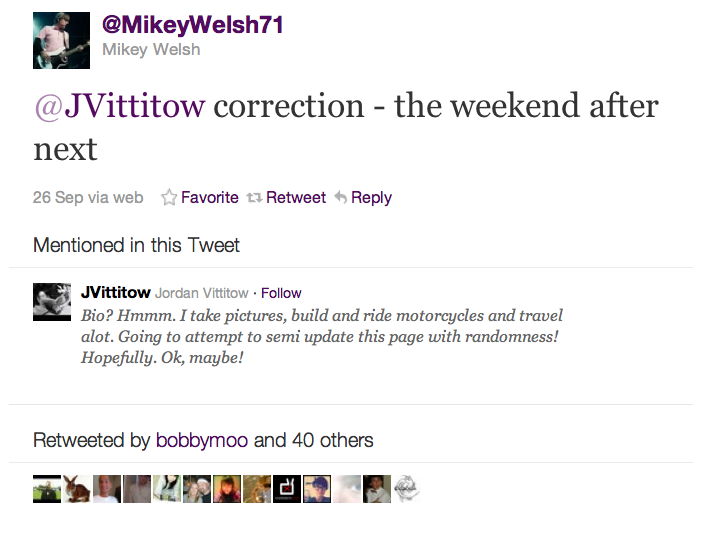 A little bit later, Welsh updated his earlier message and changed the date of his death to this past weekend. Welsh hailed from Burlington, Vermont and played with Weezer from 1998-2001 until he suffered a nervous breakdown. Following his musical career, Welsh devoted himself to painting and drawing. He was supposed to attend a Weezer concert on Sunday night in Chicago. The band went ahead with the show and dedicated it to their former bandmate. “A unique talent, a deeply loving friend and father, and a great artist is gone, but we will never forget him. His chapter in the weezer story (’98 – ’01) was vital, essential, wild, and amazing,” the band wrote on their website. One diner was particularly upset with how his meal turned out at a Chicago restaurant. Consequently, he decided to literally, instead of figuratively, “offer his two cents” about the establishment’s performance. 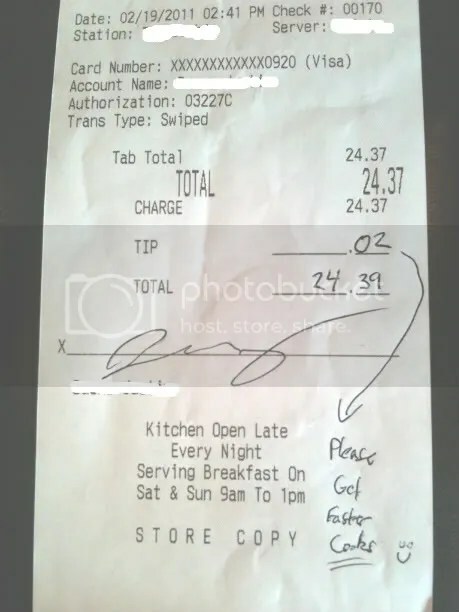 Rather than offering a tip and complaining to someone during the meal, this guy decides to offer two cents and a snarky comment about getting “faster cooks.” What’s worse, instead of a tip, he leaves a smiley emoticon. That’s pretty low. Apparently, the guy was a financial analyst. Just a coincidence.